Psalm 100:1-5 – Time to Shout for Joy to the Lord! 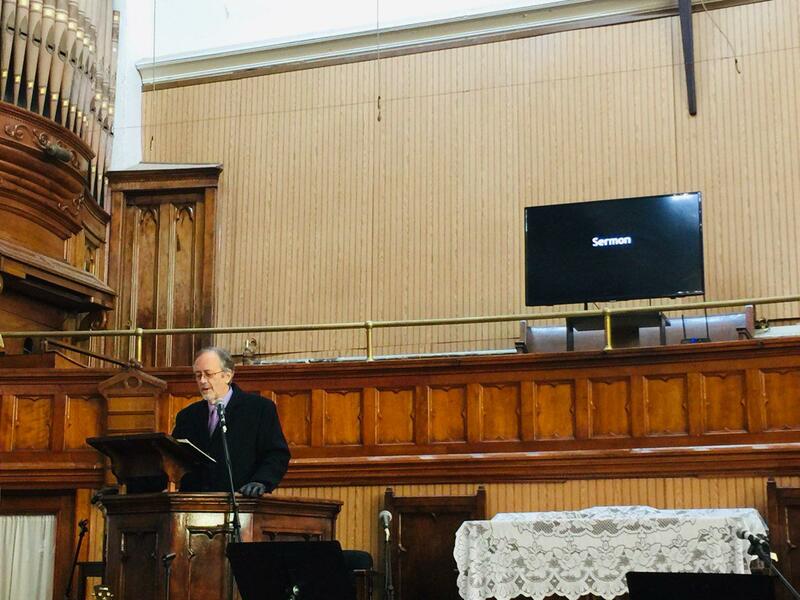 On November 11, NYC Immanuel Community Church held a graceful Sunday service, delivered by Dr. DeVries. Being a Month of the thanksgiving, his sermon highlighted 4 attitudes of believers; to shout, to serve, to seek and to celebrate in thanksgiving toward God through Psalm 100. Below is the summary of his sermon. “Psalm 100 is the only Psalm with the Spirit-inspired title “Psalm for Thanksgiving.” It is the designated song for “Thank Offerings” Biblically given virtually every day – and it is still recited by many Jews on most mornings. This brief Psalm has inspired great music, joyful church worship, and spontaneous, exuberant public honoring of our LORD. This beloved Psalm deeply inspires both devoted worship of our LORD and dedicated service honoring our LORD. To Shout: shout and sing for joy with joyful songs. Thank and glorify God – two actions so often missing (Romans 1:21). All that God made is good. Nothing is to be rejected if it is received with thanksgiving, consecrated by the Word of God and prayer (I Tim 4:4-5). To serve: Serve/Worship the LORD, our God, our Creator, our Benefactor, our Savior who saved us from sin, Satan, sickness, sadness. The LORD deserves our best. Worship is Service. It is serving the LORD as Sovereign in every sphere. The LORD made us. No one is “self-made”. Service is Worship and Service and sacrifices cultivate joy; Joy is a choice within sacrifice, suffering, and service. Grit [courage, resolve, character-strength] matters, but Joy defines our service.